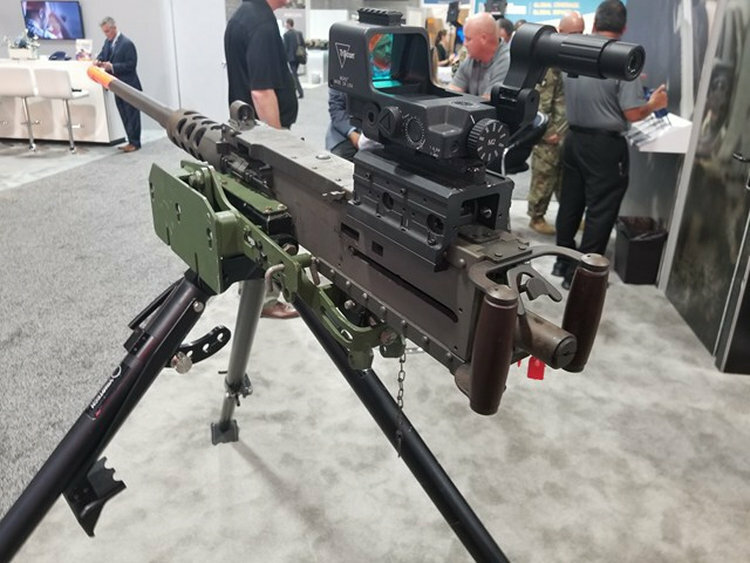 Defense News reports that the Coast Guard is looking at a new sight that should provide a much higher probability of hit, particular at longer ranges. Waste of time and money. If accuracy is wanted, then keep it on a weighted tripod and shoot it single fire mode. Accuracy is not a word used on shipboard mounted machine guns situated on mechanical cradles and pintles. There are no electro-mechanical stabilizing systems for crew served small weapons. Sounds like more skunk piss to me. To explain, a 1930s champion pistol shooter once told me that if people found out that skunk piss applied to the front sight would make them shoot better, no skunk would safe. Also, I noted in the base article, “The user will simply have to re-zero the weapon after switching between the .50 and M240.” Who zeros a .50 caliber afloat? It ain’t possible. If greater accuracy is needed, then let them shoot more. Its not new and its also not skunk piss. We have had these in the Army for at least 5-6 years. They are very useful for vehicle mounted weapons so I assume they would have some use on a boat. Much easier and faster target acquisition than iron sights. I would be concerned about how it deals with salt water, however.